Tweet more at once with tMORE! So much to say, so little space on Twitter? Boost your Twitter Tweets with tMORE and escape the 140 characters limitation of Twitter! Tweet more than 140 chars at once with tMORE! So much to say, so little space on Twitter? Boost your Twitter Tweets with tMORE and escape the 140 characters limitation of Twitter! 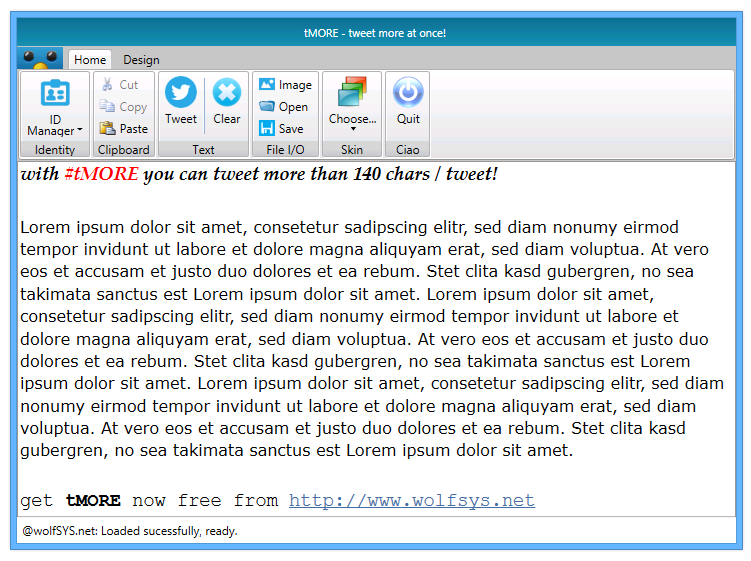 Boost your Twitter experience now and start using tMORE for Windows Desktop for free.